Do you ever wake up with knee-deep anxiety from the moment you wake up? You feel a nagging pain in your chest. Your mind is racing. And something is just off. Earlier this year, every morning I’d wake up with anxiety. I’d meditate for an hour and a half just to feel some relief. At first glance, it’s easy to point the finger to outside people, situations or circumstances to blame as the cause of your anxiety. But what if your life is going great, you practice mindfulness every day and you STILL suffer from anxiety. What I learned from my personal experience was that anxiety should be embraced and (dare I say it) is one of our greatest lessons. In the vlog below, you’ll learn what our anxiety is trying to teach us and one of the best ways to overcome the anxiety that doesn’t involve meditation or mindfulness. 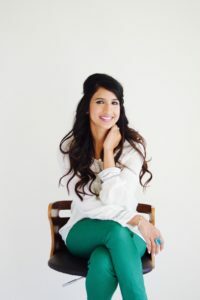 Tejal V Patel is a former divorce attorney turned mindfulness advocate for moms and kids. She’s a modern mom, certified Kids and Kundalini yoga and meditation teacher and founder of the online parenting course The Mindful Mama Experience where she helps moms learn how to become the present patient and peaceful mamas they desire to be. Her newest online mini-course launching this fall is The 7 Day Ditch Stress Detox. Through her group coaching programs, Tejal works closely with moms from around the world, to teach them simple, real-life tools to release stress, stay calm during difficult moments and learn how to teach mindfulness to their kids too. She’s taught hundreds of New Jersey teachers how to infuse mindfulness into classrooms with the Mindful Beginnings Curriculum she developed. And every week you can find her teaching mindfulness at the 2 pre-schools her family owns in South Jersey. She hosts free 5-minute meditation for busy moms on FB live in her private ModZen Mama FB group.